We have just released our list of 25 student-athletes named to the inaugural NSCRO Men’s All-Americans and 25 Rising Stars for the 2017-18 season. As with the recently announced Women’s All-Americans, this is the first year for this program which honors players for their on-field skills demonstrated through teamwork, athletic ability, game knowledge, match awareness and more. Players were considered based on nominations submitted to NSCRO, reports from NSCRO scouts at our playoffs and at the All-Star National Championship. NSCRO Rising Stars recognizes young players with emerging talents and show promise of confidently ascending towards NSCRO All-American recognition. We look forward to seeing these players’ future contributions to their teams, NSCRO and to rugby. Congratulations to all who have received this prestigious recognition. 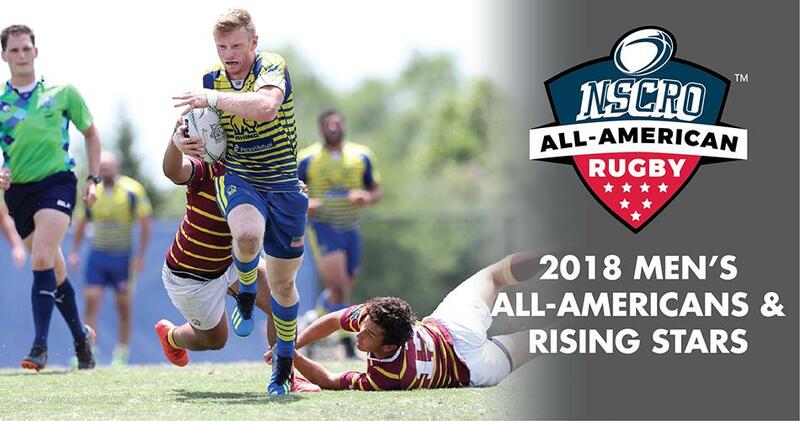 NSCRO All-Americans will received a certificate of recognition and an NSCRO All-American t-shirt while the Rising Stars will receive an NSCRO All-American Rising Star t-shirt. The 2018 All-Americans list and 2018 Rising Stars lists can be downloaded here and here.